Home Blog What Holidays Do Italians Celebrate? Before you begin working your way to foreign language fluency, it helps to understand the culture behind the language you’re learning. After all, language exists to help a group of people express their ideas and beliefs. Italy is an old country with a rich history and culture. As you begin your Italian language program, gaining a strong grasp on this history, the values, and the etiquette will help you rapidly achieve success. In particular, Italians celebrate their fair share of holidays as one of the predominately Catholic European countries. Today, Italy can be characterized as a nation where Catholicism is the predominant religious practice. While church attendance has declined significantly in recent times, surveys have revealed that 80 percent of Italian citizens do believe in God, and Famiglia Cristiana (Christian Family), continues to be a magazine that enjoys a heavy readership. Attitudes regarding Catholic ideals are still heavily adhered to, continuing to hold their historic importance within the Italian community. The influence of the church, as well as the power of the Vatican and local bishops, may be foreign to their Protestant counterparts, is still very clearly felt amongst Catholic Italians. This is true even for those who hold an anticlerical stance. 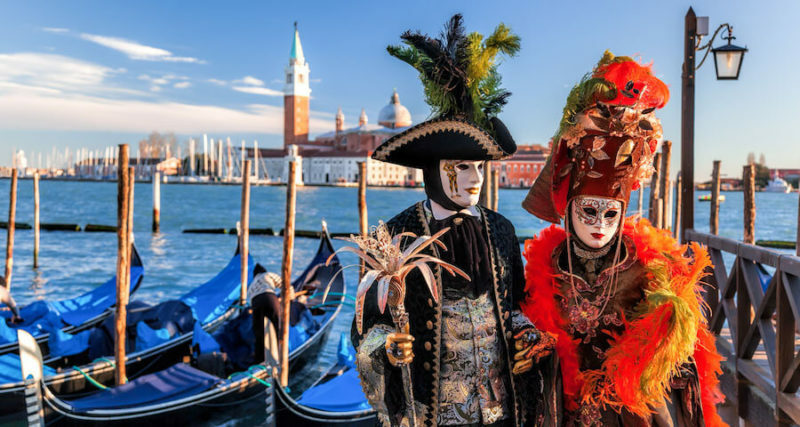 While many other Christian sects abide by a belief in puritanism, the Italians and their communities often take a “we’re all sinners” approach, so common vices such as extramarital affairs, tax evasion, and the building of illegal dwellings, are often accepted as a part of life. In comparison to other Latin countries, Italy does not observe as many public Christian holidays, but due to the strong structure of their local communities, local and regional holidays are often faithfully observed. Patron saints are common across all of the towns and villages in Italy, and it is common for each community to hold a celebration or even a respite from work in observance of the holiday. It is a good idea to check local tourist information before visiting for the observance of an impending holiday, as regular work schedules will often be altered in preparation for the weekend. In Italy, one of the two most important festivals celebrated pertaining to the Christian liturgical calendar is the birth of Christ.During the observance of this holiday, decorations such as pine trees with red ribbons are displayed in many of the major public squares. Around this time, the Naples historic center is flush with people who come to purchase historic figurines and other trappings concerning the celebration. This makes it the ideal time for tourists to visit many of the towns that would otherwise be flooded with visitors. The most populated cities in Italy are usually less dense during this time, as the smaller towns are given preferential treatment by the countrymen. This creates the perfect opportunity for visitors to enjoy a traditional Italian environment during the holidays, but as this trend is tremendously popular, it is in your best interest to make reservations. Other holidays that are extreme importance in Italy include New Years and Easter. The New Year’s celebration presents a respite from the family-oriented environment of Christmas, as many people choose to enjoy the party scene. One of the most important customs of the New Year’s tradition is the ridding of unwanted items, for which there are often many high-quality items available to anyone interested in salvaging them. During Easter, which is considered the second most important holiday, many Italians will choose to take off work for the entirety of the Holy Week. Throughout the country, there are many parades, including those that take place in Chieti in Abruzzo, as well as the procession of the Addolorata.